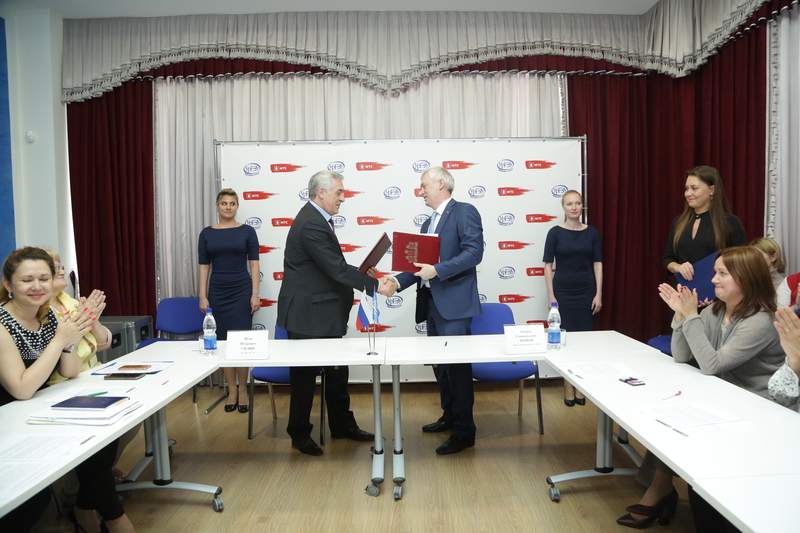 Ural State University of Economics signed a cooperation agreement with MTS, a leading telecommunications operator in Russia. The agreement provides for practical training of students at the federal company, joint participation in creative and educational events, lectures, master classes, webinarsб and training sessions from HR specialists of the company. "We would like to help students who graduate from the University and get a job. We feel the need for new staff, because today MTS is not just a telecom operator. It is a company that specializes in the development of new branches of digital economy: big data, telemedicine, gamification, and, e-sports. 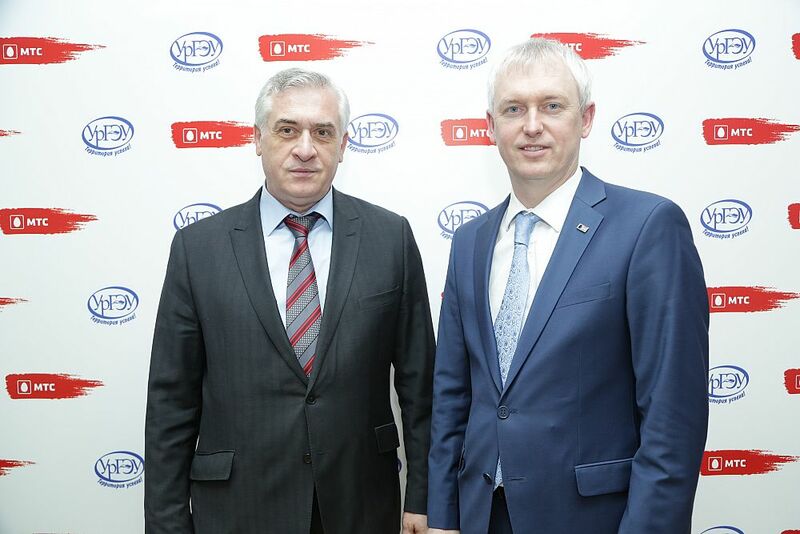 Of course, we need new specialists for all these areas," Andrei Popov, director of the MTS Sverdlovsk branch, noted. USUE and the MTS branch developed a program of social adaptation of students in the form of summer practical training and paid internship. The summer practical training at a large federal company is an opportunity to learn from professionals, to assert oneself, and as a result - to find a job. 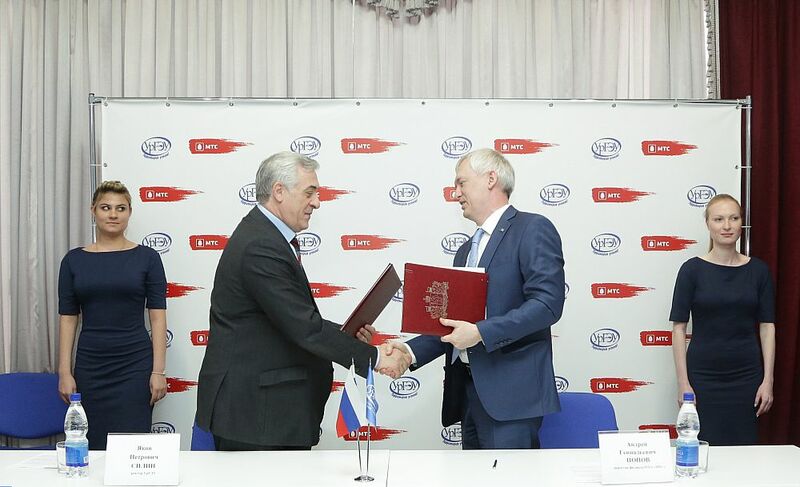 Yakov Silin, the USUE rector, commented, "Cooperation with such a large international company gives new opportunities. Combining the efforts of one of the strongest economic universities with one of the promising, strong companies opens up promising ways of interaction. Some are employed, some improve their level of proficiency, and others capitalize their opportunities. " After the signing ceremony, the members of University staff and faculty asked their questions and offered their proposals. Ruslan Dolzhenko, the chair of the USUE Department of Economics and HR Management, proposed to jointly implement the program of gamification in HR management. 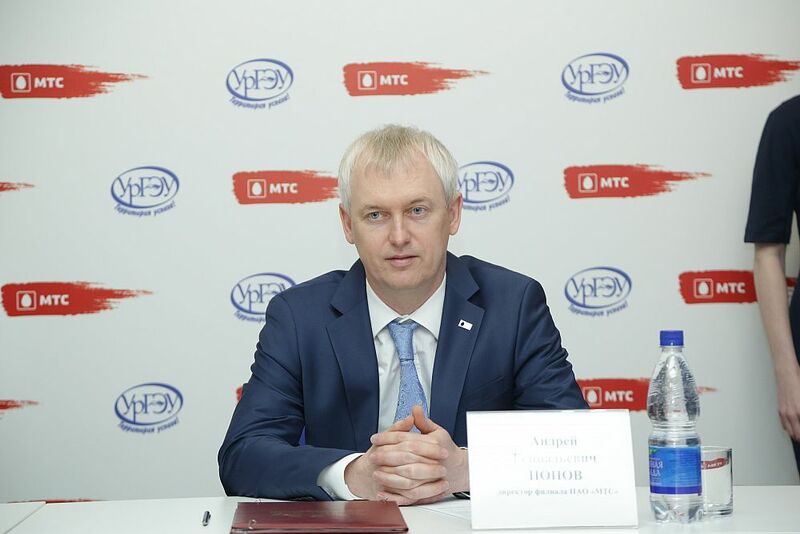 Andrei Popov supported the idea and added that this method would allow more efficient management of personnel, involve young people to create competition and improve efficiency. The head of the USUE Office for Interaction with Employers Elena Ovsyannikova noted, "I hope that your and our employees’ interest will bring good results. One of the first activities that we are planning is the organization of students' excursions to your enterprise so that they could understand the internal structure of the company." We would like to note that the agreement also provides for the creation of a disabled friendly environment at the University by MTS. "The project is socially oriented, connected with the opportunity of employment for disabled people. For us this is important, because we train such students. Thank you for your attention to social issues," Svetlana Dolzhenko, the head of the USUE Personnel Department, said.